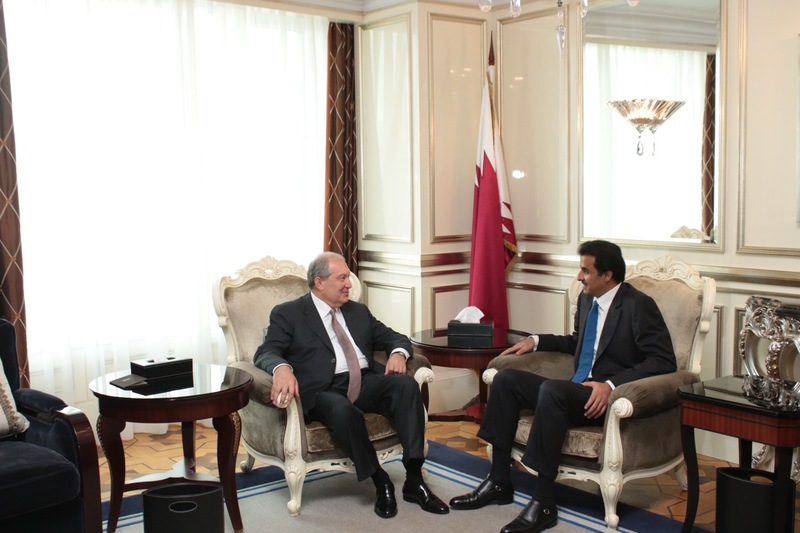 President Armen Sarkissian met in Moscow with the Emir of Qatar Sheikh Tamim bin Hamad Al Thani. 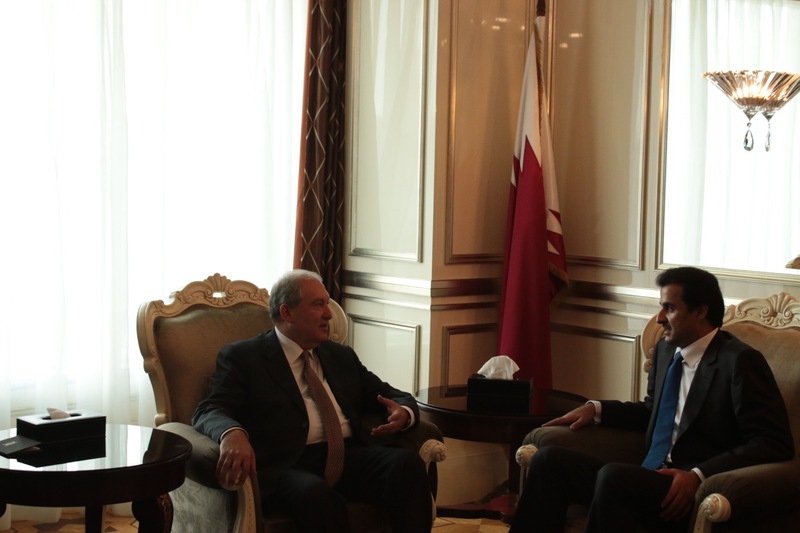 During the warm and sincere conversation, the President of Armenia and Emir of Qatar discussed possibilities of implementation of investment programs in our country. President Sarkissian presented competitive advantages of Armenia, the country’s attractiveness for investments and steps aimed at the improvement of the business environment. 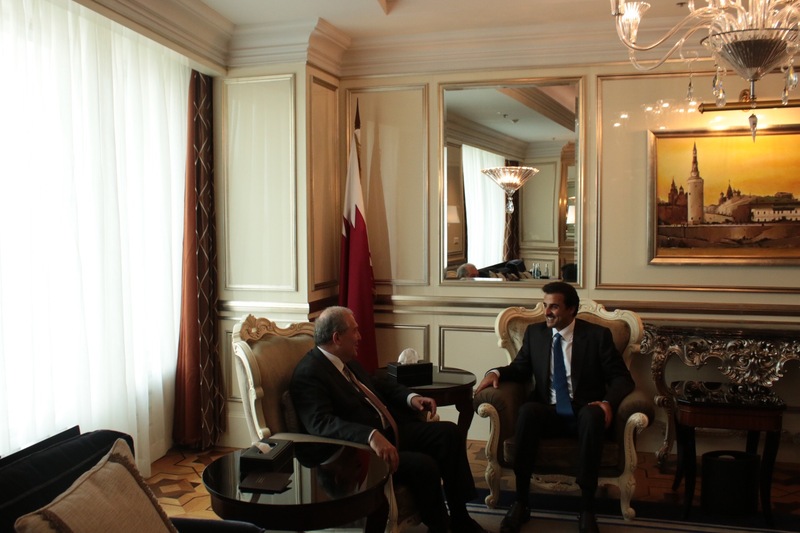 It was noted that Qatar is interested especially in the area of modern technologies which holds great prospects for cooperation. The parties concurred that the two countries have great potential of cooperation also in the areas of agriculture and tourism.